I may have mentioned it once or twice on here, but for those of you that don’t know; I’m a super proud dog sister. Yes, a dog sister! 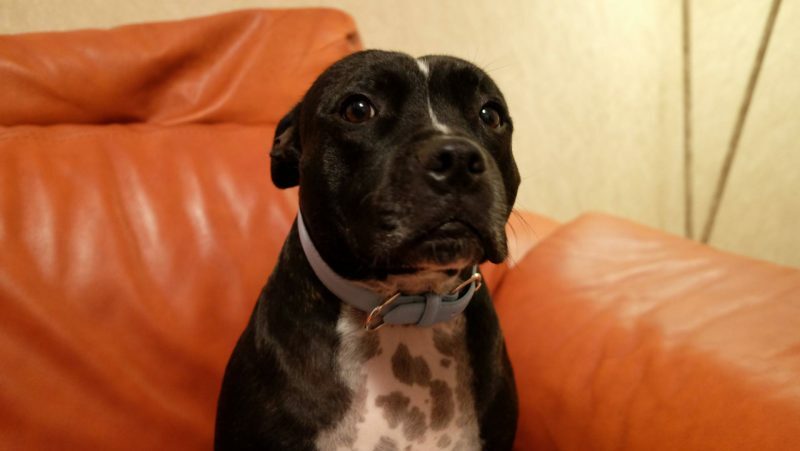 My parents have two Staffordshire Bull Terriers and when you ask them to find their sister, they come and find me! They also think I’m one of their equals which I don’t quite get as I’m ever so slightly taller and less hairy than them but it’s cute! We’ve had them for just over five years now and I genuinely can’t imagine life without them. Whenever we go to my parents, they’re at the window waiting for us. As soon as we walk through the front door, Chess has a toy ready for us. If we sit on the sofa, they’re there ready to smother us in kissed and cuddles. I honestly think there’s no love like a dog’s love; they know when you’re down, unwell or just in need of a little extra love. And sometimes it’s nice to repay them with fancy gifts to show you care! 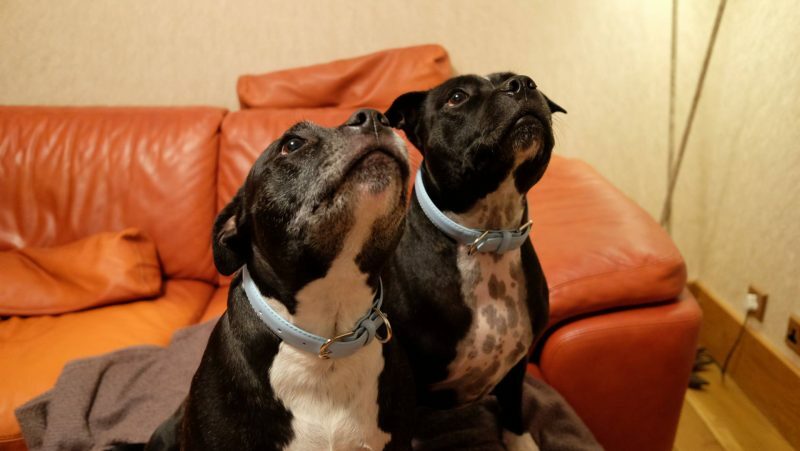 Queue the arrival of two stunning Barc London collars. Barc London have created on-trend, high-quality products that can seamlessly become a part of indoor and outdoor living. The kind of products you’re proud to take your dog out in. 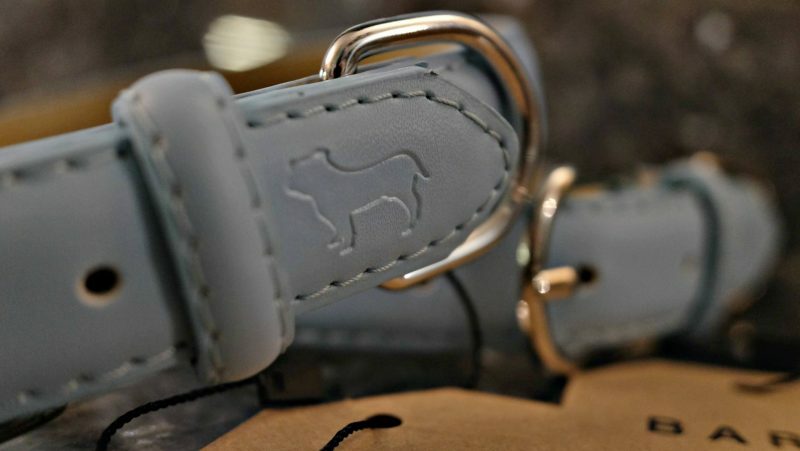 Their luxurious collars are crafted from high-quality leather with premium fastening features and embossed branding that says ‘BARC’. 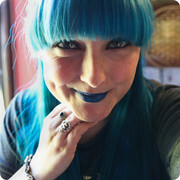 I went for the Coastal Blue collars as I thought they’d stand out really well against the dark of their furs. I know they’re both girls but I’m not big into the whole ‘girls wear pink’ malarky, at Casa del Squibb we’re firm believers of wear what you want and that’s usually a hell of a lot of blues! I love the silver detailing as I’m all about the silver bling life so they will match me perfectly. When it comes to the sizing, it’s really important to get the correct fit as it’s a good step to keeping them happy and healthy. Using a soft measuring tape, measure their neck at the widest point. For comfort, two fingers should be able to fit between the collar and the neck so it’s not too tight. If your dog is in between sizes, I would certainly go up a size to ensure they’re more comfortable. I went with a Large for my girlies as they’re very broad with muscly necks and the sizing was perfect for them. The quality of the leather and collar is stunning. When the girls have them on they look plush and far more expensive than what they are. At £30 a pop, they’re so worth the money, in fact, I think they’re a little underpriced! 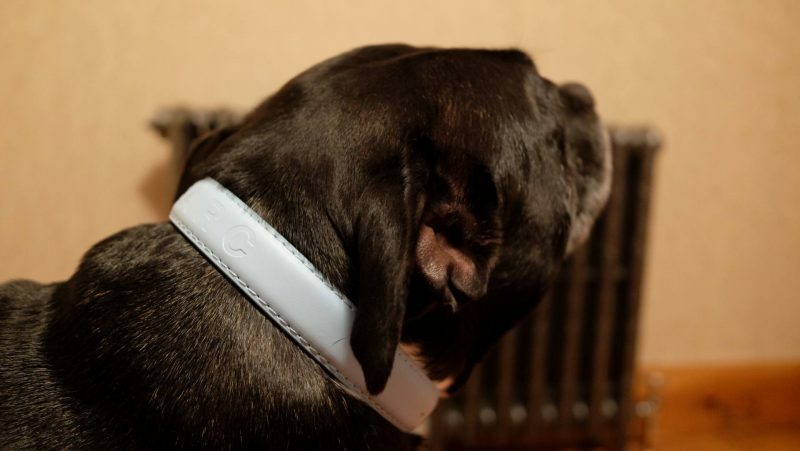 For £55 you can get a collar and matching lead which look just so good together. 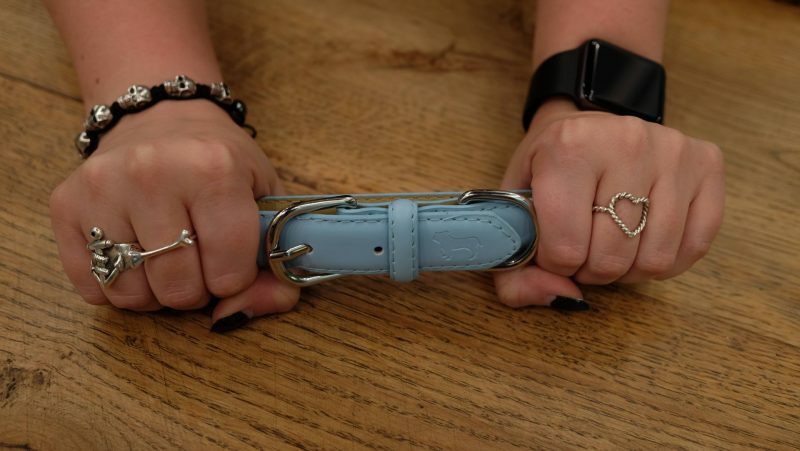 Barc London are also planning on releasing harnesses so if you’re not a collar fan or your dog is a bit of a lead puller then that will be perfect for you! The girlies love their new collars, I love them and my parents really loved them so these come with the full Squibb approval! "Recent Event Round Up *"
"Healthy Snacking with Livia’s Kitchen *"